When the ALS Ice Bucket Challenge was at its peak, I decided to take the act of charity to the next level and complete weekly acts of charity for an entire year. 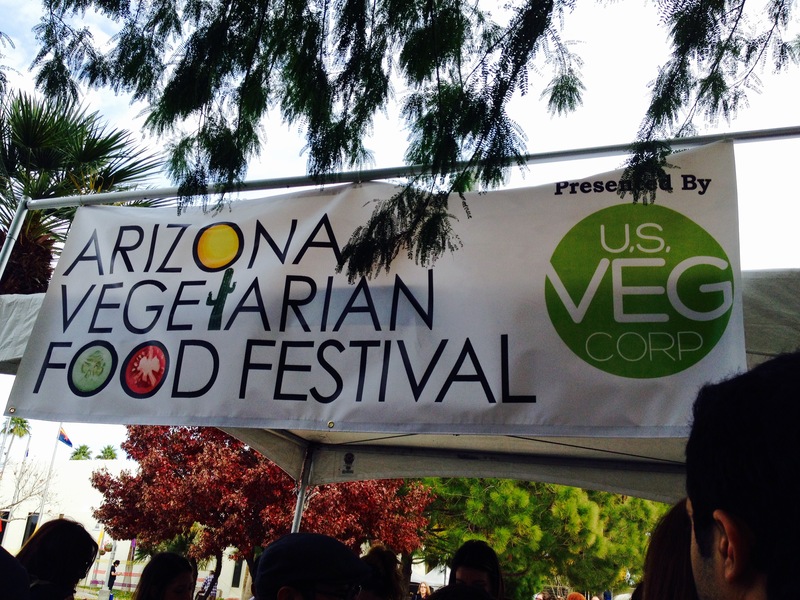 This weekend, my personal IBC led me to the Arizona Vegetarian Food Festival in Scottsdale to benefit Evolve for Animals. 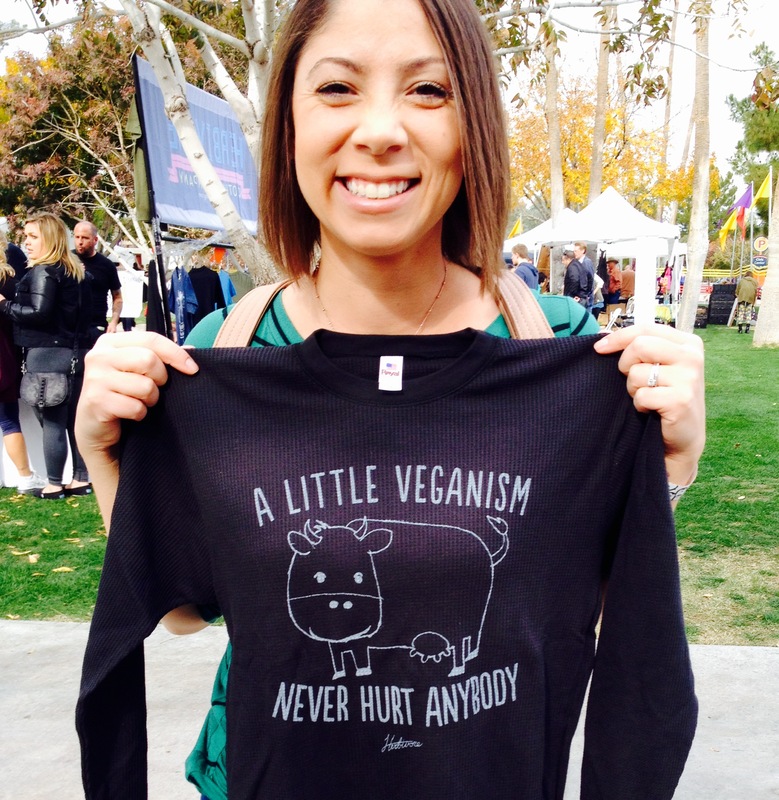 The festival was teeming with eager vegans, vegetarians, animal rights activists, and environmentalists. While typical festival/carnival/state fair crowds tend to damper the experience for me, this time, I was thrilled to be surrounded with like-minded people who care about animals, sustainability, and of course, their health. Various booths with information and most importantly, free samples (woo! ), peppered the perimeter of the Scottsdale Civic Center Amphitheater. The first booth that my husband, Travis, and I stopped at, Arizona Microgreens, featured an assortment of organic baby greens, which are easily my new favorite salad base and sandwich filler. 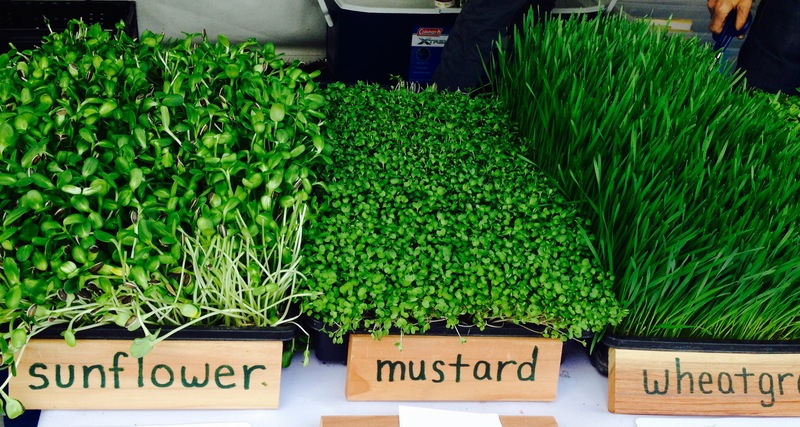 I had had microgreens before, but didn’t realize just how many varieties existed. As you can see, they look adorable when compared with something like iceberg lettuce (I do believe that presentation matters when it comes to eating) and taste absolutely delicious. Many samples and $15 later, we walked away with broccoli and pea shoot micros. Up next, we stopped at a clothing booth that specializes in tops made from organic cotton and bearing catchy vegetarian and animal-friendly phrases. Geeky for some, but I was smitten and had to have one of Herbivore Clothing’s creations. Like many things organic, the long sleeve shirt I selected wasn’t cheap, but $30 well-spent to advocate for causes that I believe in without even trying. Lastly, Travis and I hit up a tortilla chip booth that had really long lines when we first arrived. By this point in the festival, it was raining, so we were able to make it to the front of Beanfields in just a few minutes. 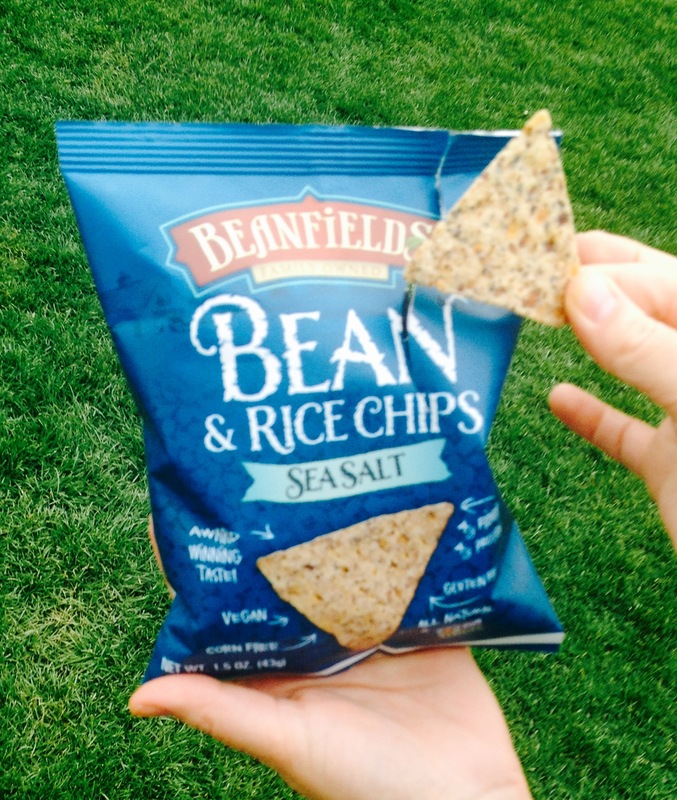 These tortilla chips–which were fantastic–are made from beans and brown rice. I’m not a big proponent of processed foods, but there are some gems out there are these are one of them. They were the perfect snack to end a fulfilling day doing one of the things I love most: living a plant-based lifestyle. Good for me, good for animals. 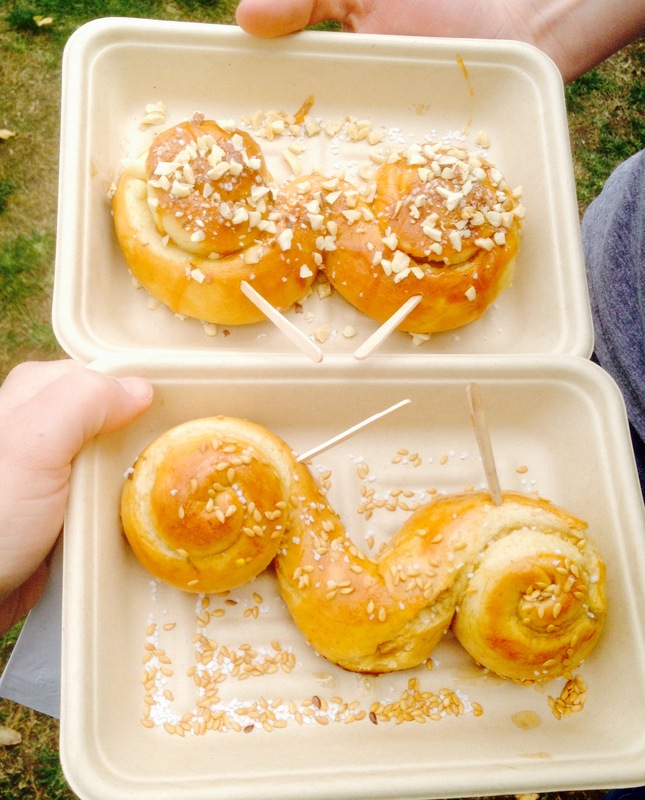 ← Dessert for Breakfast? Yes, Please!